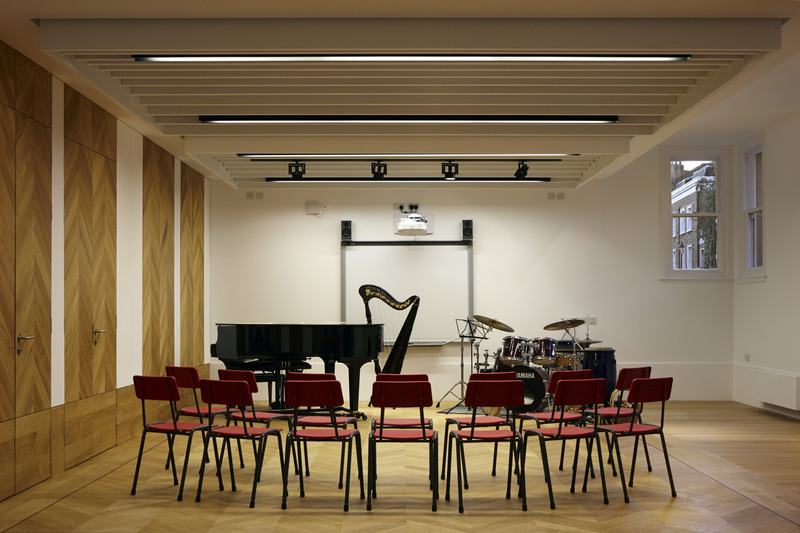 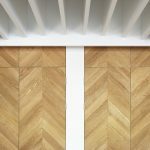 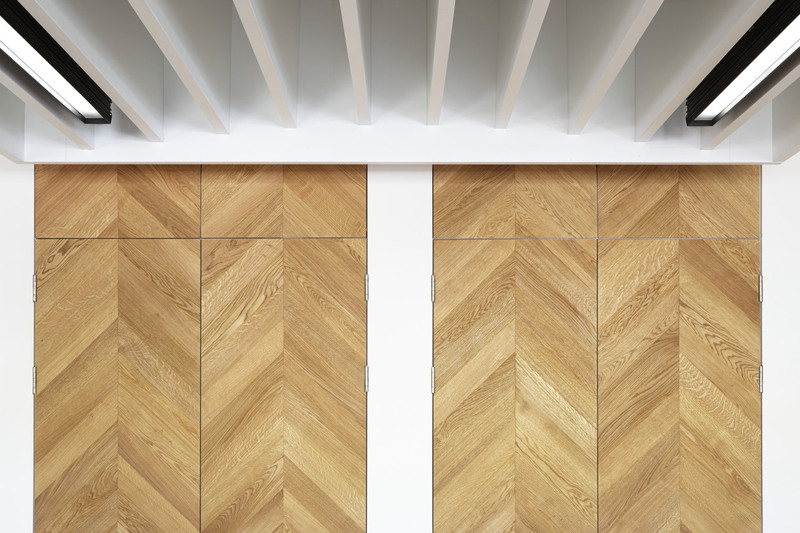 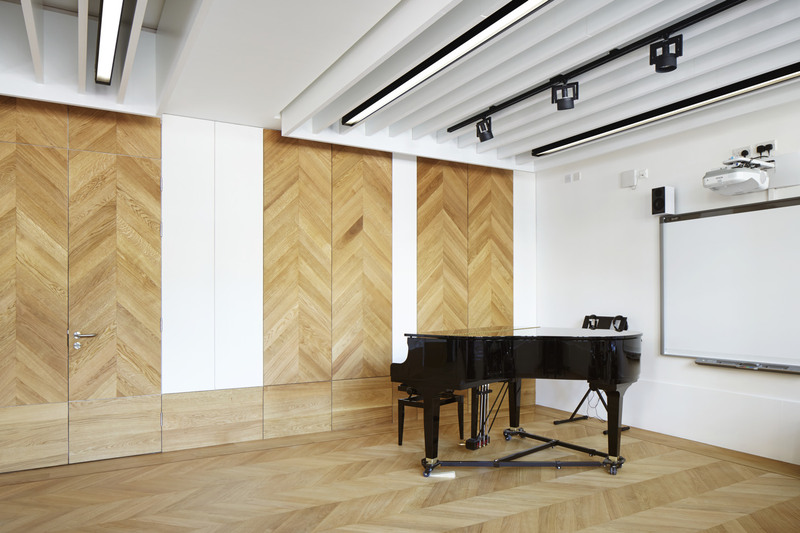 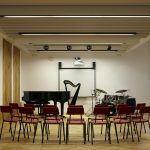 When Thomas’s School, Battersea in London wanted a coffered ceiling for their music room the contractor, Harry Barnes Construction Ltd, approached QK to make a series of ceiling baffle panels. 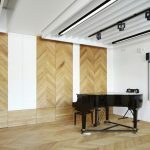 With a honeycomb construction, the panels were faced in 3mm white primed MDF and supplied with worktop connectors to join baffle lengths together, complete with cover caps and threaded inserts to assist in hanging the panels. 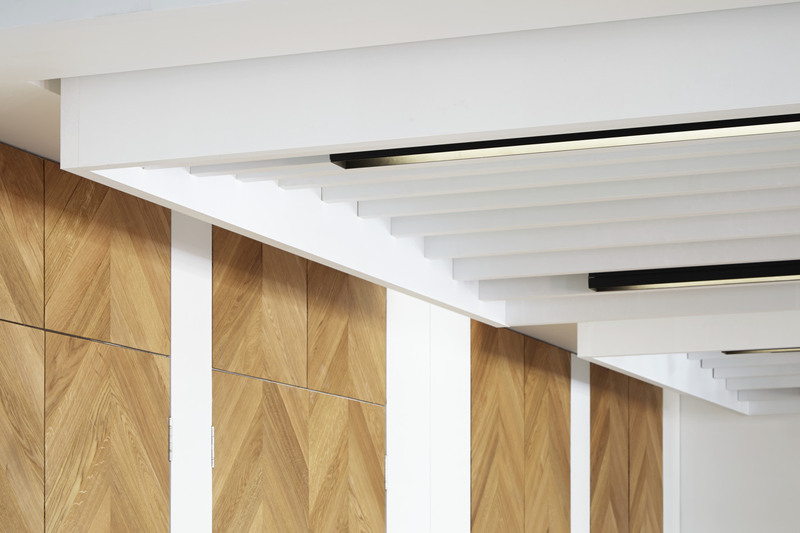 A total of 96 panels were manufactured to make 3 complete raft assemblies to give a stunning ceiling feature. 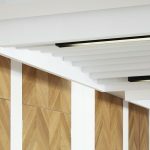 From quotation to supply of finished panels to site, QK worked closely with the contractor to ensure the brief was fulfilled.